Over the last several days an unfortunate spike in violence has once again shaken Jerusalem to its core – stoking fears of reprisals among Palestinians and Israelis alike. According to Peter Baumont of The Guardian (2015), most of these violent attacks have occurred along, “the city’s so-called ‘seam line’, which marks the boundary between Jewish west and largely Palestinian east Jerusalem.” As the situation threatens to spiral out of control, Israeli authorities have taken to establishing check points and blockades to try and “seal off” some Palestinian neighborhoods. Israeli officials have a long history of using spatial tactics like these in order to try and control the mobility of Palestinians. The most prominent of which is a 422 mile long separation wall. This has notably led many activists and academics alike to draw parallels between the separation wall and the United States government’s construction of barriers along their southern border with Mexico. In the latest issue of Area, geographers Geoffrey Boyce, David Marshal and Jeffrey Wolson suggest that that such comparisons are problematic and potentially misleading. 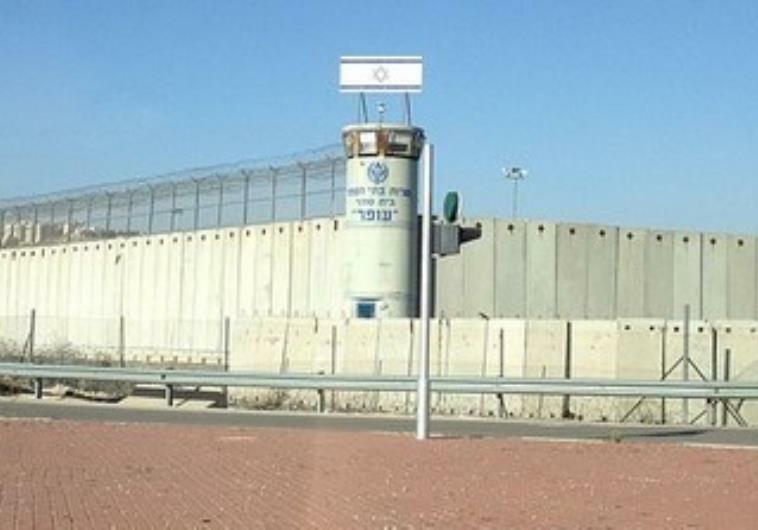 They argue that, “the function, origin and impact of specific security walls within a larger nexus of ‘borderisation’ becomes an empirical question to be established through careful exploration and research” (Boyce et al., 2015: 294). In other words, while there may be seemingly obvious parallels in practices, these shouldn’t be assumed at the outset. Instead, they suggest that careful empirical research reveals small details that open up, “opportunities for strategic intervention and collaboration” (Boyce et al., 2015: 294). Their intervention responds to a growing body of academic work in the field of geography, that looks into, “spatial tactics, or the use of space to control people, objects, and their movement” (Mountz et al., 2012: 523). Geographical research into these tactics is growing in importance as governments around the world, including Israel and the United States, continue turn to them in order to try and manage issues ranging from migration to conflict. This entry was posted in Area and tagged articulation, borders, security, solidarity, walls on October 20, 2015 by theaccidentalgeographer. Fears about the continued spread of the incurable Ebola virus have reached new heights in recent days, linked to uncertainties about the ability to contain diseases in an era of liberalised air transport. Over the last eight months around 916 people have died of the disease in Guinea, Liberia and Sierra Leone. It now appears the disease has spread to Lagos in neighbouring Nigeria, with eight confirmed cases. In recent months several international aid workers, healthcare workers and missionaries have also fallen victim to the disease, travelling back to Europe and North America for treatment, prompting fears about the greater spread of the disease. Subsequently, the WHO has now labelled the current outbreak as an ‘international emergency’. In a paper from 2011 in the Transactions of the Institute of British Geographers, Lucy Budd and colleagues considered the impacts of liberalised air transport and changes in infectious disease governance in the aftermath of the SARS and H1N1 infectious disease scares. They argued that vast increases in air passenger numbers and the growing frequency and geographical extent of long haul flights raised new challenges for international disease governance and sanitary preemption. This increased global mobility of human populations creates within itself the potential for this mobility to be disrupted and curtailed through the spread of pathogens. Infectious disease governance and prevention depends on the cooperation of a web of national, regional and global agencies – with different and sometimes contested responsibilities – while practices of disease containment must be performed within in an increasing number of highly localised sites, from the airport security line, to the local clinic and the morgue. The ongoing Ebola outbreak points to further scalar concerns around the governance of deadly infection diseases. Recent debates have focussed on the potential for using experimental treatments imported from the West to treat Ebola victims in attempt to improve the disease’s 50% mortality rate and curtail its further spread. A key question around this is to what extent standards of bioethics within the countries where these experimental treatments were developed should also be imported to the affected countries, counselling caution around the use of untested treatments. Furthermore, whilst the treatment of the disease requires the participation of international agencies, experts and technologies, it must also understand and respect the specific values and practices of Ebola victims and their families in order to be effective. So whilst there are clear ethical dimensions to the governance of the Ebola outbreak there is also a strong scalar dimension. The successful containment and treatment of the disease depends not only on international and national cooperation, but on the micro-practices within the multiple locations of the sanitary border. Lucy Budd, Morag Bell & Adam Warren 2011 Maintaining the sanitary border: air transport liberalisation and health security practices at UK regional airports. Transactions of the Institute of British Geographers 36(2): 268-279. This entry was posted in Transactions of the Institute of British Geographers and tagged air travel, Biosecurity, Disease, disease transmission, Health Geography, security on August 14, 2014 by helenpallett. The latest issue of The Geographical Journal is available on Wiley Online Library. This entry was posted in Content Alert, The Geographical Journal and tagged Amer Jabarin, Andrew Brooks, Benjamin D Hennig, Big Society, Conservative green paper on international development, corruption, discursive analysis, Dragos Simandan, Empire, environmental discourse, ethnic identity, forest, GIS, global production networks, globalisation, Graham Moon, Hammou Laamrani, Health, healthcare accessibility, hydropolitics, inequality, Ivan R Scales, Japan, Jordan, Klaus Dodds, Leonhardt A S van Efferink, livelihoods, Madagascar, Mark Zeitoun, Mei-Po Kwan, Mexico, mixed-method, Mozambique, Nasser Al Aulaqi, Ohio, Patricia Noxolo, peri-urban, political ecology, post-bureaucratic, power, quality care, Rolando E Díaz-Caravantes, rural, Russia, satisfaction, security, the Arctic, Tim Brown, Timothy L. Hawthorne, Tony Allan, trade, UK, US think tanks, used cars, water demand management, water policy, water supply, Yemen on January 25, 2012 by anonuser. 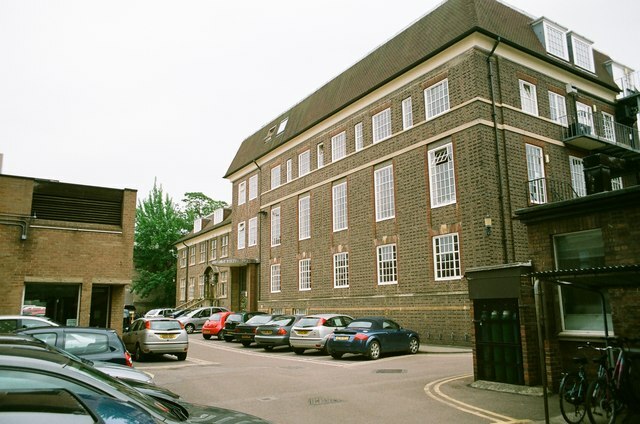 Department of Geography, University of Cambridge. (c) 2011 Wikimedia. Geography is one of academia’s oldest and most respected subjects. Yet, perhaps precisely because of its age and shifting priorities, the discipline has often been threatened with extinction or, at the very least, streamlined into a smaller field, open to the machinations of the sciences, anthropology, and sociology. Certainly, the field long ago lost its way in American higher education, relegated to a few institutions requiring geographic study for its broader mission of scientific research (e.g., the University of California at Berkeley, Dartmouth College). Dr Chris Philo (University of Glasgow), the chair of next year’s RGS-IBG Annual Conference, has chosen the theme of ‘security of geography/geography of security’. 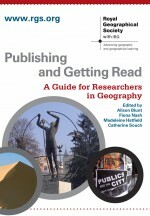 Introduced in the January 2012 edition of Transactions of the Institute of British Geographers, Dr Philo described ‘this double-barrelled construction’ as necessary for understanding (and responding to) geography’s requirements for survival, as well as the international arena’s need for geography for its own survival (1). This so-called “flipped” approach responds to the ever-fluid nature of geographic discourse. The study of the constantly-changing Earth, its lands and peoples, requires a degree flexibility that few other disciplines need. This, naturally, creates a series of problems unique to geography. For instance, as Dr Philo argues, should geography narrow its security scope to national defence interests, at the expense of broader concerns about the planet (2)? Too, will geography that focuses on international affairs ‘crowd out’ human geographers, who traditionally share more with their anthropological counterparts than diplomats (2-3)? Geography’s strength – a web connecting sciences with social sciences and the humanities – is also its weakness. Dr Philo highlighted Dr Trevor Barnes’ (University of British Columbia) concerns that the field was being gradually jammed into ‘a single big “S” Science approach’, albeit to detriment of human, historical, and political geography (3-4). His general solution is to maintain geography’s inclusiveness as much as possible, a spirit that will hopefully find a variety of answers at the 2012 RGS-IBG Annual Conference. Philo, Chris, ‘Security of Geography/Geography of Security‘, Transactions of the Institute of British Geographers New Series 37.1 (January 2012): 1-7. ‘Trevor J Barnes‘, Department of Geography, the University of British Columbia, accessed 19 December 2011. This entry was posted in Content Alert, Early View, Transactions of the Institute of British Geographers and tagged Academia, Chris Philo, Cultural Geography, Dartmouth College, Defence, Development, discipline, Economic Geography, geography, Global Issues, Political Geography, RGS-IBG Annual Conference, security, Social Geography, survival, Trevor Barnes, University of British Columbia, University of California at Berkeley, University of Glasgow on December 19, 2011 by Benjamin Sacks. In a recent article on modern piracy in The Guardian, Rose George expresses concerns at the changing dynamics of maritime security and hostage scenarios. She draws on interviews with Indian seafarers, one of whom describes being “kept for eight months on his ship. When negotiations were ongoing, the worst he suffered was a slap. When negotiations stalled, he was tied in a stress position on a hot deck for several hours, and his captain was locked naked in a freezer.” George explains how ransoms are getting higher, the negotiations more drawn out. Indeed, the most high profile case in Britain of modern day piracy in recent years has been the experience of Paul and Rachel Chandler – who spoke last month about their experience of being held hostage by Somali pirates for 13 months. Overall, George reflects on David Cameron’s recent decision to allow armed guards on British-flagged ships and the incredibly complicated legal scenarios that both states and maritime security companies face due to shifting national and international legislation. A recent review in Geography Compass by Elizabeth Nyman on ‘Modern Piracy and International Law’ specifically highlights the complex international problem of modern piracy, especially in terms of global shipping and maritime safety. The political geographies of modern piracy are significant and Nyman reflects in more detail on the legislation surrounding piracy and the role of borders, territory and jurisdiction. After a brief history of piracy, Nyman defines piracy in international law, examines the issue of jurisdiction and reflects on some proposed solutions to the piracy problem. Overall, she states that “by considering questions of maritime piracy, geographers can both contribute to the growing literature on modern piracy, but also gain insights into uniquely geographical inquiries and concerns” (2011: 871). This entry was posted in Geography Compass and tagged British-flagged ships, Economic Geography, Geography Compass, Global Issues, hostage, Indian Ocean, international law, maritime spaces, martime, modern piracy, Paul Chandler, piracy, Political Geography, Rachel Chandler, security, Social Geography, Somali on November 15, 2011 by slmills0. The Home Office has recently announced a new passport design, to be issued from October 2010. In an attempt to counter identity-theft and fraud, the passport is being marketed as “speeding up travellers’ passage through border controls” and includes enhanced security features such as holograms, two photographs and hiding the security chip from view. The Chief Executive of the Identity and Passport Service states that “Through its combination of physical and electronic security features, the UK passport remains one of the most secure and trusted documents in the world, meeting rigorous international standards.” Its use at border and immigration controls and the continual challenge of fighting fraud means that the passport and its associated (biometric) technologies reflect broader attitudes towards migration, security, belonging and citizenship. In their paper in Geography Compass, Alexander Diener and Joshua Hagen (2009) examine how despite predictions of a borderless world, “state borders remain one of the most basic and visible features of the international system”. They argue that although it is clear there is growing interaction between different places and that globalisation has clearly impacted flows of migration and international trade, “borders continue to play a central role in shaping, dividing, and uniting the world’s societies, economies, and ecosystems”. The distinct political geographies of borders, territory and identity are reflected upon by Diener and Hagen, who use historical and contemporary examples of how ‘borders matter’. This article is a useful summary of research on border studies and the benefits for geographers and others within the social sciences. The continued improvement and re-configuration of passports and border security reflects wider ideas about the role of borders and the importance of territory in the international system. Read Diener, A. C. and Hagen, J. (2009), Theorizing Borders in a ‘Borderless World’: Globalization, Territory and Identity. Geography Compass, 3: 1196–1216. This entry was posted in Geography Compass and tagged belonging, biometrics, border control, Citizenship, Economic Geography, fraud, globalisation, Home Office, identity-theft, international system, Migration, passport, Political Geography, security, Social Geography, technology, Territory, travel on August 31, 2010 by sarahmillsaber.